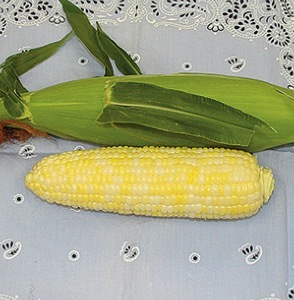 Sweet Corn Golden Eagle F.1 Hybrid bi-coloured type, early cropping with well filled cobs. This variety has exquisite flavour. Very good cold tolerance. Culture: Sow in 4 inch pots in early April and plant out Mid May at 12 inches apart all ways.